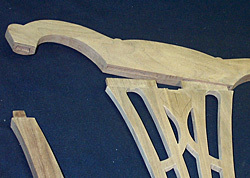 The delicately carved crest rail with C-scrolls is supported by a complex pierced splat. 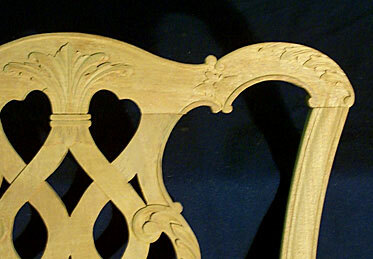 The top rail has carved leaves on each shoulder with acanthus carving above the central pendant. 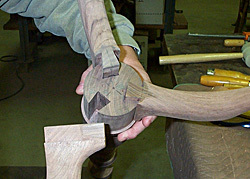 The carved splat is bordered by molded stiles. 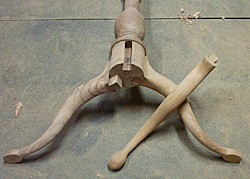 Dovetailed legs on the pillar of this Queen Anne candle stand. 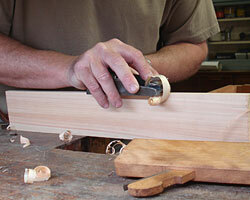 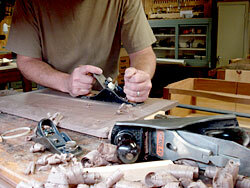 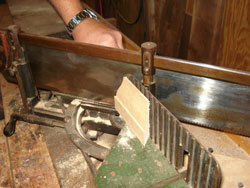 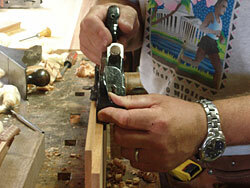 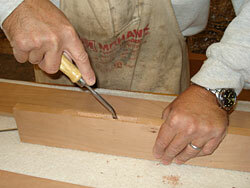 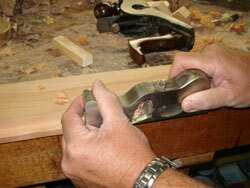 Drawers are dovetailed by hand with white pine, poplar, white cedar or chestnut as secondary woods. 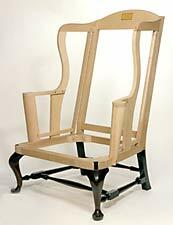 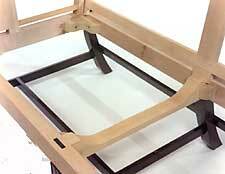 Our frames are made in the tradition of the original 17th & 18th century pieces we duplicate. 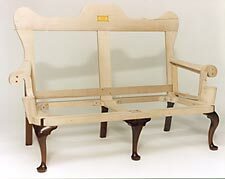 Since different parts of the country used different hard woods, maple or oak for example, we use the same type of wood that was used on the piece we are using for a pattern. 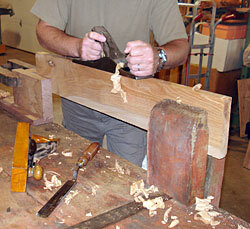 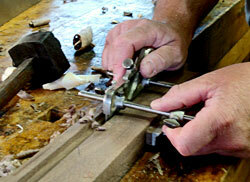 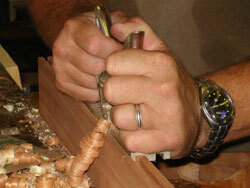 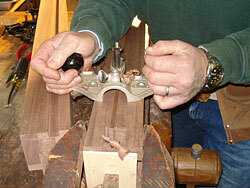 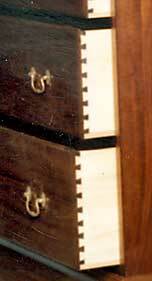 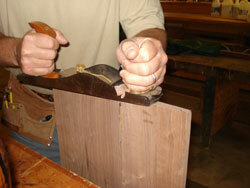 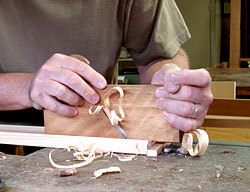 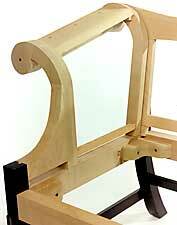 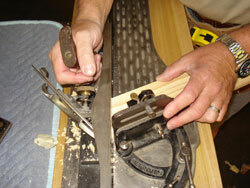 Joints are mortise and tenon construction, using pins and pegs as traditionally used. 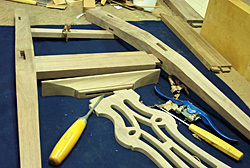 stiles, stretcher, rails and shoe.